I live in a world where freedom doesn't exist, and life is a battle for survival. Most people aren't even allowed to have names. But I had a name once. I was Allura until the Wardens captured me. They told me I was a Nameless. That I was no one, and my sole purpose was to obey them. And, for a while, I believed them. I spent years living underground in the channels beneath the city, dreaming of being outside again. I never thought it would happen. That I'd die in the darkness of my cell. But then three guys show up in the channels and my fate suddenly changes. 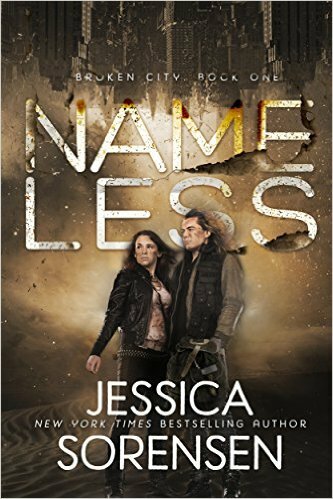 Blaise, Ryder, and Reece are part of a secret group working to take down the Wardens and help rescue the Nameless. For the first time in a long time, I feel like I might survive. But the outside world isn't like how I remember. The city has become even more dangerous, especially for the Nameless. To survive, I'll have to learn how to trust the guys and live in a world full of crime where almost everyone is hunting for me.